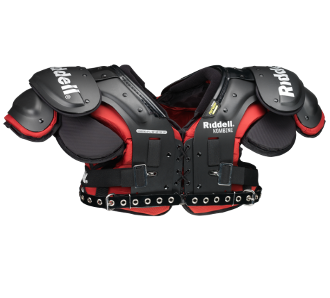 The Riddell Kombine Adult Football Shoulder Pads – All Purpose will provide you the features of the upper echelon pads without costing you an arm and a leg. These All Purpose Kombine Pads are a great option for your “do it all” player by providing a great mix of protection and maneuverability. Its velvet lined collar enhances comfort around your neck while its epaulets and caps contain BIOTHANE straps for superior flexibility. Complete with Riddell's RipKord technology, the All Purpose Kombine Adult Football Shoulder Pads leave no stone unturned when it comes to price, use and protection!